When Elizabeth became Queen in the November of 1558, it was widely believed that she would restore the Protestant faith in England. 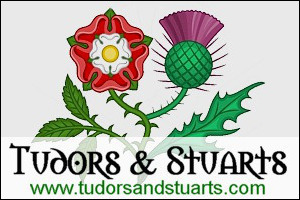 The persecution of Protestants during the short reign of her half-sister, Queen Mary I, had done much damage to the standing of Catholicism in the country and the number of Protestants was steadily increasing. Although Elizabeth had outwardly conformed to the Catholic faith during Mary's reign, inwardly she was a Protestant, having been raised in that faith, and was committed to it. Elizabeth's religious views were remarkably tolerant for the age in which she lived. While she had her own beliefs and convictions, she also believed in tolerating the views of others, and sincerely believed that Catholics and Protestants were basically of the same faith. "There is only one Christ, Jesus, one faith" she exclaimed later in her reign, "all else is a dispute over trifles." She also declared that she had "no desire to make windows into men's souls". Throughout her reign, Elizabeth's main priority was the peace and stability of her realm. Her government only adopted a hardline against Catholics when Catholic extremists threatened this peace. Unfortunately for Elizabeth, however, many of her contemporaries did not share her views on toleration, and she was forced by circumstances to be harsher towards Catholics than she intended or wanted. 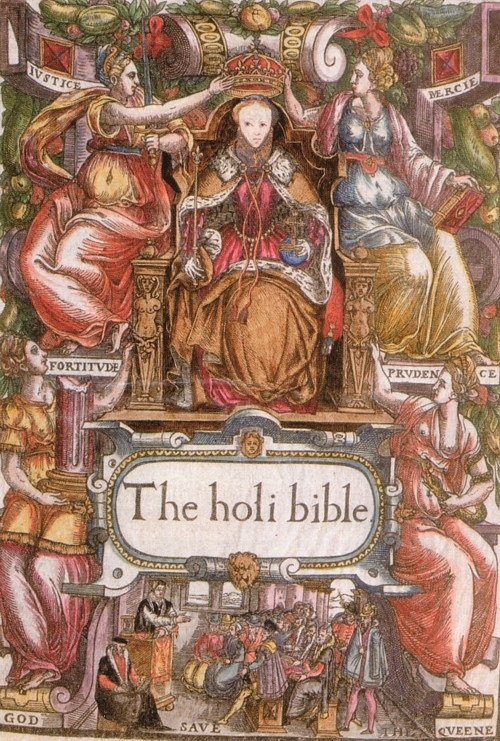 Elizabeth's toleration of Catholics, and her refusal to make changes to the Church she established in 1559, has led some historians to doubt her commitment to her faith, even to assert that she was an atheist, but such views are mistaken. Elizabeth wanted her Church to appeal to both Catholics and Protestants, and did not want to move the Church in a more Protestant direction, thus making it more difficult for Catholics to accept the Church than it was already. The Church hierarchy, and traditional forms of worship, also suited the Queen's conservative taste. She had little sympathy with Protestant extremists who wanted to strip the Church of its finery, ban choral music, vestments and bell ringing, and liked her Church just the way it was. Elizabethan hoped that by keeping the Church as it was, her people would become accustomed to it. She wanted her Church to be popular with her people, and for Catholicism to die out naturally as people turned to the religion she had established. In this she was largely successful. By 1603, the year of her death, the English were generally Protestant, and Catholics were in the minority. 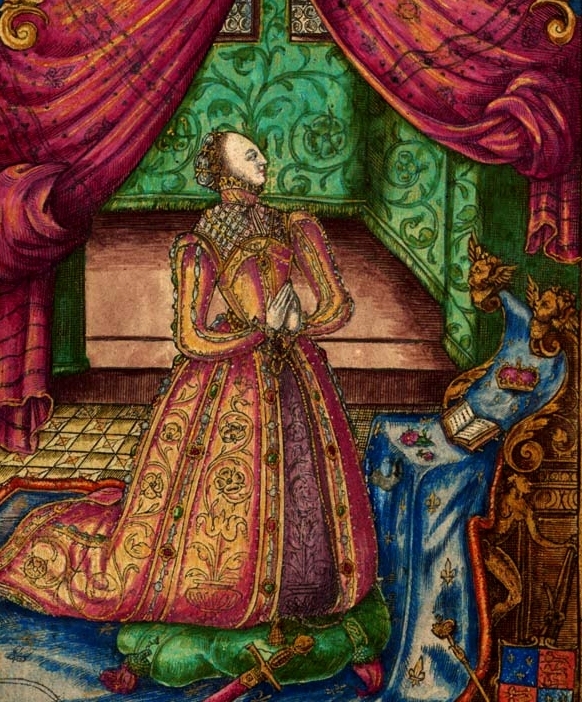 Elizabeth had her own private chapel in most of her palaces, and reputedly prayed there everyday. She saw herself as God's vessel on earth, and would pray to determine God's will so that he would reveal it to her, and she could implement it. Although Elizabeth's actual beliefs elude us, we are able to get an indication of them from her attitudes and gestures. Her chapels were conservative - the crucifix was displayed, and she also liked candles and music. She disliked long Protestant sermons, but also expressed displeasure at some Catholic rituals such as the elevation of the host, which implied that she rejected the Catholic belief of transubstantiation. She also did not really approve of the clergy marrying as she expressed on several occasions, but as this was an integral aspect of Protestantism, she had to accept it. A more personal indication of her beliefs are the prayers she wrote for her people, and the letters she wrote to her friends and relations. In these letters she often referred to God and the need to accept his will. In her prayers she also acknowledged her own faults and shortcomings. Elizabeth was by no means the perfect Protestant by the standards of many of her clergy - she swore terribly, using expressions that some thought were blasphemous, one of her favourite being "God's Death", and her sumptuous appearance was criticized by the more radical Protestants, known as "Puritans", who accused her of vanity and idolatry - but there is no reason to doubt that the Queen was a committed Protestant who took her faith seriously.